For more than 40 years, Esri has been leading the charge for GIS, staying current with the latest technologies to incorporate them into products and solutions to better our customers, our communities, and the planet. There are many factors working to effect the planet that we, as technologists, geoscientists, business professionals and academics in the geospatial community, must assess how it will impact our world and what we can do about it.Factors such as climate change, biodiversity threats, natural resource depletion, security, energy, economics … all of these and more, force us to rely on GIS, pushing the geographic approach to access data, and maps, and perform modeling to make the best educated decision. These maps are important – they’re intelligent.They contain symbols and tables and charts and tools.They express workflows and embed metadata. They are how we reason, how we collaborate and how we communicate. 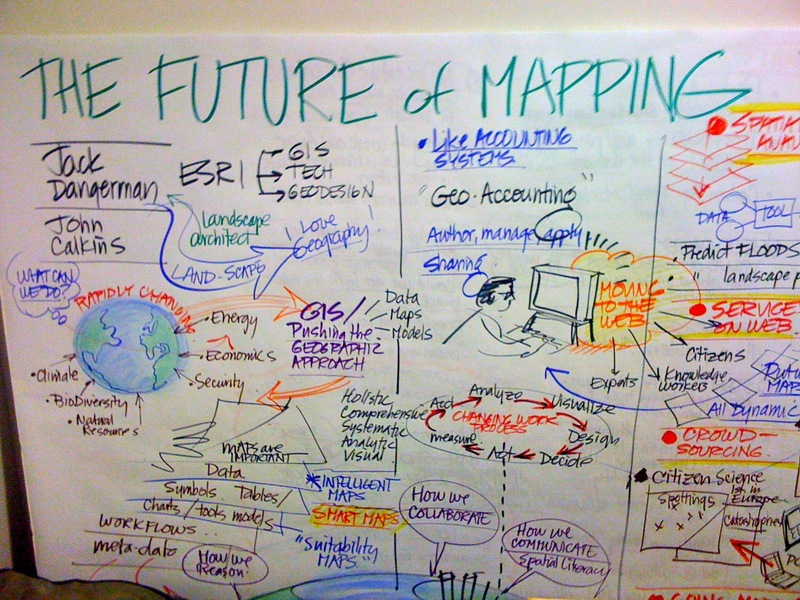 For many years, these maps were static.In fact, until fairly recently, GIS has been used in a traditional capacity with respect to its relationship with computing.Many of you are most likely quite familiar with performing geospatial analyses or data production and management in an offline capacity, managing data locally-hosted to satisfy a single purpose or finite user base or specific community. The result was often a fixed solution – such as a paper map or a single model or static image or data set. The computer age has moved through the mainframe, to the minicomputer, to the microcomputer, and the cloud computing ecosystem is now upon us.Information Technology has crossed the Rubicon into a new compute era – one that is web-enabled as the standard.We build and consume applications and solutions that are based on crowd-sourced data, collaborative communities, and social innovations. With the advent of cloud computing and web mapping as a new platform for geographers, cloud becomes a powerful new modality for GIS.With it, there is an opportunity to reinvent the GIS application, as well as for the discovery and availability of spatial data and geospatial analyses. 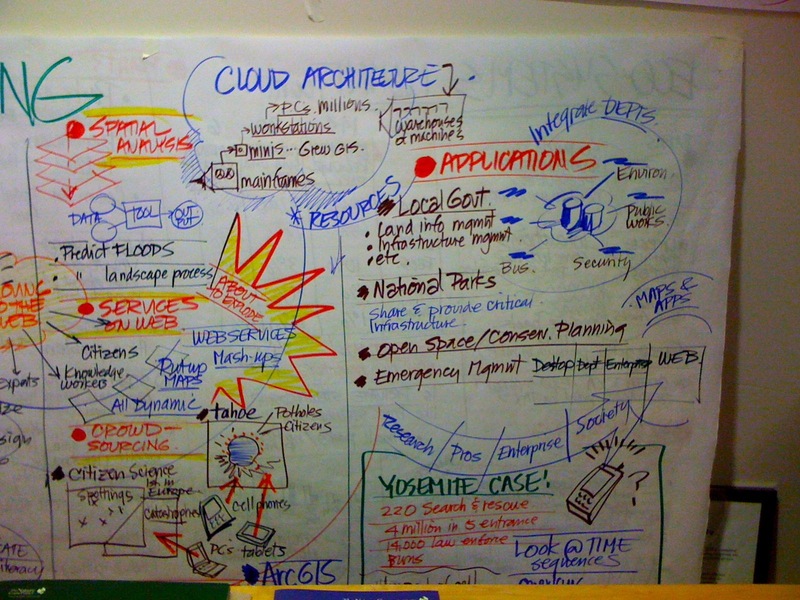 Cloud provides the potential for access to and publication of dynamic data, as well as the consumption of real-time information for analyses and modeling, which can then be leveraged in applications that serve multiple purposes and audiences, meeting potentially high-volume traffic over a ubiquitous and scalable architecture. Esri is seeing this more often with disaster response operations that are standing up mission-critical geospatial applications hosted in the cloud. With access to seemingly unlimited compute capacity using cloud infrastructure, analytical calculations can be performed in a fraction of the time as traditional processes and may potentially offer more economic viability. Initially, this is attractive to small- to medium-sized businesses, educational institutions, non-profits, and startups. But as cloud computing moves increasingly into mainstream operations for business, the potential for cloud and cloud-delivered content is becoming a significant reality for organizations no matter what the size.With warehouses of nearly unlimited compute capacity, and the ability to potentially leverage economies of scale to suit nearly every budget, geospatial analyses and objectives are no longer hamstrung by the need for additional compute power in order to perform sophisticated geoprocessing operations, or fulfill local-, state-, or country-wide initiatives, on–demand. For the Future of Mapping, the sky really is the limit.